Facing resistance, Bernanke plans to keep stimulating laggard economy. The economy and markets have moved into a situation as unstable as pre-Lehman, although, unlike 2008, with a chance for a good outcome, a turn in the Great Recession. The forces and actors are a mystery to the media and most analysts, confounding many of the actors themselves. Some things are in plain sight: the 10-year T-note has nosedived to 2.34% because of economic fear and anticipating new Fed intervention. 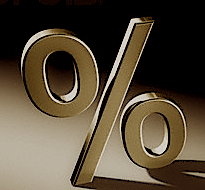 Mortgages are falling toward an unthinkable 4.00%. The economy is sputtering along, but running out of time: the recession has cut Federal tax revenue by almost $500 billion annually, and we must ignite the economy to close that part of the deficit gap before the Treasury loses its ability to borrow. In the three years of this disaster, we have had the wit to embrace some Keynesian stimulus, and Mr. Bernanke’s heroics finally stopped a systemic run in the winter of 2009. However, as in ’29-‘32 we are still in the grip of a “liquidity trap” (infinite bank reserves cannot create credit), and the “paradox of thrift” twists frugal effort into destructive liquidation. Also as in ’29-’32, an utterly unsustainable global currency and trading system adds overriding instability, and is crumbling by the hour. The international system is poised to break: Asian exporters have arranged trade-pushing weak currencies, but have become dependent while damaging their trading victims. Europe is locked in euro-gold just like in ’29-’32, the weak desperately needing to devalue from a too-strong euro, the strong enjoying an absurdly weak euro. The US has been unable to devalue because the euro crisis beat us to it last spring, and China has followed us down. Prime Minister Wen: “If the yuan is not stable it will bring disaster to China… turmoil and closing factories….” Uh-huh. Try things here, sport. On Nov. 3 — unless blocked — Mr. Bernanke and a small, brave band near him will announce QE2: the intention to invent and disburse enough cash to counteract velocity and deflation here, and enough to force the other central banks to follow, or suffer their own consequences. Germany has verboten QE by the ECB, hence the euro is rising, demolishing any chance for Club Med recovery. The ECB buys just enough sovereign bonds to prevent collapse, and to fill the hole in a Euro-zone bank-on-bank run, as they try to protect themselves from sovereign default and euro breakup. Japan still does not get it: its QE announcement on Tuesday was timid (20 years of deflation, now), and the yen rose to another suicidal high. Brazil gets it, installing new capital-import controls to keep the real low. Australia gets it, suspending tightening into its hot economy, unnecessary if the world goes QE. The UK flinched, pulling back from sustained QE, paralyzed by fears of inflation, its very last worry. Mr. Bernanke has the votes and the courage to proceed, but risks an open revolt at the Fed, and opposition from House Republicans, soon to be more numerous. Hope first that he and his noble few find enough support, and then that QE2 works. Hope hard.